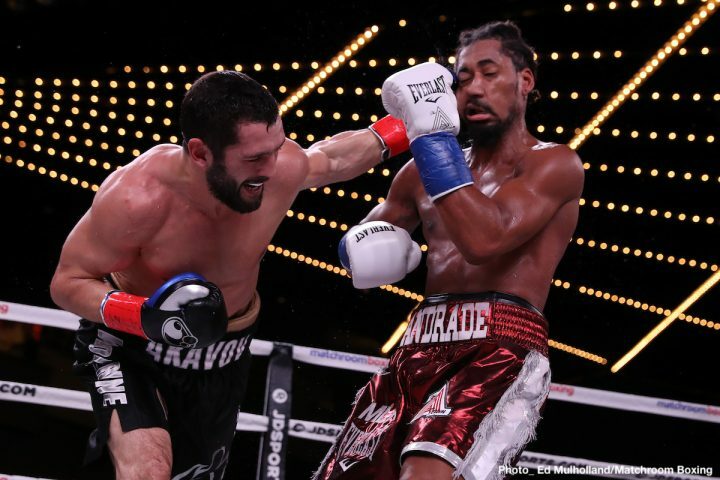 Friday night’s undercard proved be as thrilling as expected with three first-round knockouts among the five undercard bouts streamed live on DAZN. In the co-main event, Pablo Cesar Cano upset Jorge Linares by stunning first-round technical knockout. TJ Doheny retained his IBF World Super Bantamweight title, scoring an 11th round technical knockout against Ryohei Takahashi. Former world champion Chris Algieri survived a late surge by Daniel Gonzalez to win by unanimous decision. Amanda Serrano made history by knocking out Eva Voraberger in the first round to claim the vacant WBO Super Flyweight World championship, marking the seventh weight division she has claimed a title.